William Joseph Casey was born in New York on 13th March, 1913. He graduated from Fordham University in 1934. Later he studied law at St. John's University. After law school, he joined the Research Institute of America, rising to become chairman of the institute's board of editors. During the Second World War Casey served in the Office of Strategic Services (OSS). Sent to France he received the Bronze Star for his work in coordinating French Resistance forces in support of the D-Day invasion of Normandy. In 1945 he took over from Paul Helliwell, as head of the Secret Intelligence Branch of the OSS in Europe. After the war he served as associate general counsel at the European headquarters of the Marshall Plan. He returned to the United States in 1949 where he practiced law and engaged in various publishing and entrepreneurial activities in New York City. In 1971 he became chairman of the Securities and Exchange Commission. He also served as Under Secretary of State for Economic Affairs and president and chairman of the Import-Export Bank of the United States. A member of the Republican Party, he directed the presidential campaign of Ronald Reagan in 1980. During the campaign Casey was informed that Jimmy Carter was attempting to negotiate a deal with Iran to get the American hostages released. This was disastrous news for the Reagan campaign. If Carter got the hostages out before the election, the public perception of the man might change and he might be elected for a second-term. On 22nd September, 1980, Iraq invaded Iran. The Iranian government was now in desperate need of spare parts and equipment for its armed forces. Jimmy Carter now proposed that the US would be willing to hand over supplies in return for the hostages. A couple of days before the election Barry Goldwater was reported as saying that he had information that “two air force C-5 transports were being loaded with spare parts for Iran”. This was not true. However, this publicity had made it impossible for Carter to do a deal. Ronald Reagan on the other hand, had promised the Iranian government that he would arrange for them to get all the arms they needed in exchange for the hostages. According to Mansur Rafizadeh, the former U.S. station chief of SAVAK, the Iranian secret police, CIA agents had persuaded Khomeini not to release the American hostages until Reagan was sworn in. In fact, they were released twenty minutes after his inaugural address. Reagan appointed Casey as director of the Central Intelligence Agency. In this position he was able to arrange the delivery of arms to Iran. These were delivered via Israel. By the end of 1982 all Regan’s promises to Iran had been made. With the deal completed, Iran was free to resort to acts of terrorism against the United States. In 1983, Iranian-backed terrorists blew up 241 marines in the CIA Middle-East headquarters. The Iranians once again began taking American hostages in exchange for arms shipments. On 16th March, 1984, William Francis Buckley, a diplomat attached to the U.S. Embassy in Beirut was kidnapped by the Hezbollah, a fundamentalist Shiite group with strong links to the Ruhollah Khomeini regime. 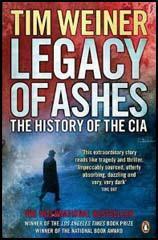 Buckley was tortured and it was soon discovered that he was the CIA station chief in Beirut. Buckley had also worked closely with William Casey in the secret negotiations with the Iranians in 1980. Buckley had a lot to tell his captors. He eventually signed a 400 page statement detailing his activities in the CIA. He was also videotaped making this confession. Casey asked Ted Shackley for help in obtaining Buckley’s freedom. Three weeks after Buckley’s disappearance, President Ronald Reagan signed the National Security Decision Directive 138. This directive was drafted by Oliver North and outlined plans on how to get the American hostages released from Iran and to “neutralize” terrorist threats from countries such as Nicaragua. This new secret counter terrorist task force was to be headed by Shackley’s old friend, General Richard Secord. This was the beginning of the Iran-Contra deal. The following month, Ted Shackley traveled to Hamburg where he met General Manucher Hashemi, the former head of SAVAK’s counterintelligence division at the Atlantic Hotel. Also at the meeting on 22nd November was Manucher Ghorbanifar. According to the report of this meeting that Shackley sent to the CIA, Ghorbanifar had “fantastic” contacts with Iran. At the meeting Shackley told Hashemi and Ghorbanifar that the United States was willing to discuss arms shipments in exchange for the four Americans kidnapped in Lebanon. The problem with the proposed deal was that William Francis Buckley was already dead (he had died of a heart-attack while being tortured). 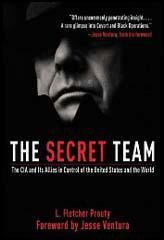 Ted Shackley recruited some of the former members of his CIA Secret Team to help him with these arm deals. This included Thomas Clines, Raphael Quintero, Ricardo Chavez and Edwin Wilson of API Distributors. Also involved was Carl E. Jenkins and Gene Wheaton of National Air. The plan was to use National Air to transport these weapons. In May 1986 Gene Wheaton told Casey about what he knew about this illegal operation. Casey refused to take any action, claiming that the agency or the government were not involved in what later became known as Irangate. Wheaton now took his story to Daniel Sheehan, a left-wing lawyer. Wheaton also contacted Newt Royce and Mike Acoca, two journalists based in Washington. The first article on this scandal appeared in the San Francisco Examiner on 27th July, 1986. As a result of this story, Congressman Dante Facell wrote a letter to the Secretary of Defense, Casper Weinberger, asking him if it "true that foreign money, kickback money on programs, was being used to fund foreign covert operations." Two months later, Weinberger denied that the government knew about this illegal operation. On 9th October, Casey and Robert Gates had lunch with Oliver North. It seems that the CIA wanted to see the paperwork for the delivery of arms to Iran. Gates told North: "If you think it's that sensitive we can put it in the director's personal safe. But we need our copy." That afternoon, Casey appeared before two Congressional oversight committees, where he maintained that the CIA had nothing to do with the supplying of contras. On 21st November, Casey appeared again before the House Select Committee on Intelligence (HSCI). By this time it was public knowledge about the arms-hostages deal. Casey was asked who was responsible for what one committee member described as this "misguided policy". Casey replied: "I think it was the President". Casey also claimed that this was a National Security Council operation. As Bernard McMahon pointed out, "we came out believing the CIA had acted only in a support role at the direction of the White House". Casey was now summoned to appear before the House Defense Appropriations Subcommittee. On Monday 8th December, he was questioned about the possibility of Iranian payments being diverted to Afghanistan. Two days later he appeared before the House Foreign Relations Committee (HFRC). He was questioned about when he first knew that money was being diverted from the profits of the hostage-arms deals. Casey claimed that he first heard about it from Edwin Meese. Members of the HFRC pointed out that Roy M. Furmark had already testified that he told casey about the deal as early as the 7th October. Casey was questioned for five and a half hours. One member said that "questioning Bill Casey was like punching a pillow". Another claimed: "He didn't seem to know what was going on in his own agency." Casey was due to appear before the HSCI on 16th December. The day before, CIA physician, Dr. Arvel Tharp went to visit Casey in his office. According to Tharp, while he was being examined, Casey suffered a seizure. He was taken to Georgetown University Hospital and was not able to appear before the HSCI. Tharp told Casey he had a brain tumor and that he would have to endure an operation. Casey was not keen and asked if he could have radio therapy instead. However, Tharp was insistent that he needed surgery. Robert Gates now became acting director of the CIA. He claimed that he was not involved in the Iran-Contra operation. As Lawrence E. Walsh pointed out in Iran-Contra: The Final Report "Gates consistently testified that he first heard on October 1, 1986, from the national intelligence officer who was closest to the Iran initiative, Charles E. Allen, that proceeds from the Iran arms sales may have been diverted to support the contras. Other evidence proves, however, that Gates received a report on the diversion during the summer of 1986 from DDI Richard Kerr. The issue was whether Independent Counsel could prove beyond a reasonable doubt that Gates was deliberately not telling the truth when he later claimed not to have remembered any reference to the diversion before meeting with Allen in October." William Joseph Casey died on 6th May, 1987. After his death, Oliver North testified that Casey had played an important role in the Irangate Scandal. 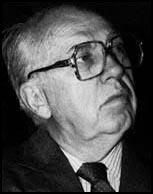 Lawrence E. Walsh argued in Iran-Contra: The Final Report: "There is evidence that Casey played a role as a Cabinet-level advocate both in setting up the covert network to resupply the contras during the Boland funding cut-off, and in promoting the secret arms sales to Iran in 1985 and 1986." The Bush-Reagan White House's policy towards Iraq is more complicated than it has been presented. With Iran the goal was to sell arms to replace NATO stocks, as well as to fund covert operations. With Iraq it is believed to have been a geopolitical goal: to ensure that Iran didn't win the Iran-Iraq War. The problem with this explanation is that it fails to take into account the fact that the effort to arm Saddam Hussein increased, in some areas dramatically, after Iran and Iraq agreed to a cease-fire in August 1988. Although Frank Carlucci, who was Undersecretary of Defense under Caspar Weinberger in 1981 and 1982 and National Security Advisor in 1987, contends that there were some "broad exchanges of information with the Iraqis" and "any weapons the U.S. sold them didn't give them any enduring capability" (interview with author, November 21st, 1991), the American government supported Saddam Hussein throughout the Iran-Iraq War even after the war had ended, right up until the invasion of Kuwait in August 1990. This policy was never reported to Congress or made public to the American people. It was a covert operation. The genesis of this relationship goes back to March 1982, when then-CIA Director William Casey is reported to have made a secret trip to Baghdad and arranged for Iraq to be removed from the State Department's list of nations supporting terrorism, a prerequisite for the subsequent restoration of diplomatic relations (Commonweal, June 14th, 1991). Casey met with his counterpart at Iraqi Intelligence, Barzan Hussein (Saddam's half brother), but failed to inform the House or Senate Committees .on Intelligence of these meetings or that the U.S. was now sharing intelligence with Iraq (New York Times, January 26th, 1992). The direct intelligence link was run out of the American Embassy in Baghdad. Recent press reports (Los Angeles Times, May 7th, 1992) reveal that George Bush himself acted as an intermediary in sending strategic military advice to Saddam Hussein. During a trip to the Mideast in August 1986, Bush relayed the message to Hussein via Egyptian President Hosni Mubarak. According to Administration officials who were familiar with the incident, Bush was said to have asked the Egyptian leader to tell Hussein to make better use of his air force against Iranian troops. Less than a month later, Iraq intensified its air campaign against Iran by attacking Iranian oil facilities. While at the same time the U.S. was selling arms to Iran, it was providing Iraq with satellite intelligence photographs to assist Iraqi bombing raids on Iranian oilfields and power plants. "The information has been flowing to Iraq for nearly two years," American intelligence officials told the Washington Post in 1986. The officials claimed that "[William] Casey reportedly met twice this past fall  with senior Iraqi officials to make sure the new channel for providing the intelligence was functioning well to initiate more attacks on Iranian installations." In early October, shortly after the Iraqis executed a surprise bombing raid on the Iranian oil terminal at Sirri Island, which Iran thought was safe from attack, Casey met with Tariq Aziz, the Iraqi Foreign Minister at the UN, to make sure he was happy with the flow of intelligence. Casey pledged the secret intelligence flow would continue (Washington Post, December 15th, 1986). As CIA director, Casey and President Reagan shared similar world views, at the center of which was their determination to roll back communism and bring about the collapse of the Soviet Union. The Iran/contra investigations and prosecutions could not have been pursued without developing evidence on Casey's role, particularly guidance or authorization he may have provided in the commission of illegal acts. Because Casey did not have the opportunity to answer questions arising from the evidence, however, Independent Counsel did not conduct his investigation with an eye toward establishing Casey's guilt or innocence. For example, North, at his trial, testified to conversations with Casey. By that time in his investigation, as indicated below, Independent Counsel did not use his resources just to check the truth of some of North's statements. There is evidence that Casey played a role as a Cabinet-level advocate both in setting up the covert network to resupply the contras during the Boland funding cut-off, and in promoting the secret arms sales to Iran in 1985 and 1986. In both instances, Casey was acting in furtherance of broad policies established by President Reagan. North testified that at Casey's direction in late summer 1984, he recruited Secord, a retired Air Force major general skilled at clandestine operations, to set up his contra-supply network.12 According to North, Secord's operation was modeled on prior CIA operations, using a series of organizations to obtain weapons and deliver them to the contras. According to a North computer message, Casey also later approved Secord's involvement in the covert arms sales to Iran, designating him as a CIA agent to serve as an intermediary in 1986. (Note from North to Poindexter, 1/15/86) Under the January 17, 1986, Presidential Finding, which Casey and CIA General Counsel Stanley Sporkin helped North put together, the U.S. Army sold the TOW missiles to the CIA, who in turn passed them on to Secord, the unnamed "third party'' in the Finding, who then delivered them to Iranian agents. In late July 1984, Casey took North to a meeting in a Central American location of all of the CIA's senior field officers in the region. "Director Casey told me he wanted me to see them eyeball-to-eyeball and them to see me, so we would know each other in the event, his words were, something went wrong,'' North said. North testified that Casey advised him to set up a secret account to accept foreign contributions to the contras so that arms and other purchases would be controlled by him rather than the contra leaders. North testified that at the end of 1984, he also set up an operational account in his office to provide funds for the contra and later the hostage-release operations. North said Casey gave him a ledger to keep an accurate account of the cash and traveler's checks disbursements from the fund. North said he destroyed the ledger in October or November 1986 at Casey's direction when it appeared that the secret contra-supply effort would be publicly exposed following the downing over Nicaragua of one of the operation's aircraft and the capture of crew-member Eugene Hasenfus. Three days after Hasenfus was downed, Oliver North telephoned Buck Revell, warning that a probe of Southern Air Transport might disrupt "Residentially authorized activity that you are privy to." They were on an open line, so North was talking cryptically, but Revell understood that he meant some kind of Iran initiative. Revell already knew that North and CIA were up to something in Iran. At a July meeting, North had advised that the president had authorized contact with an Iranian government faction headed by the speaker of the parliament, Hashemi Rafsanjani. Then North had "put in the kicker," as Revell later said. In order to show good faith, the American emissaries had been authorized to arrange the shipment of a small number of antitank missiles and other spare parts. In return, the Iranian group had agreed to use their influence in attempting to obtain release of William Buckley and other hostages held by radical Shiites in Lebanon. Clarridge, who also attended the session, seemed unsurprised by the revelation, and Revell thought to himself: Sonofabitch, the Agency already knows. This whole Iran thing is probably Casey's baby. Revell had immediately briefed Webster, who was aghast that CIA - and the White House - would so flagrantly flout America's stated policy of not negotiating with terrorists. There were also rumors, denied by CIA, that the hostage operation was somehow linked to the Contras. But because no laws seemed to have been broken, the Bureau had not pushed further into CIA's Iranian enterprise. North's October 8 call to Revell now changed everything. Revell deduced that if subpoena of Southern Air records could compromise the hostage/negotiation process - if exposure of one operation could reveal the other - the two were probably linked. That meant that the hostage operations, like the Hasenfus flight, might violate the Boland Amendment. On the chance that a hostage's life might indeed be in danger, the FBI agreed to temporarily suspend its Southern Air investigation, on grounds that it would "most likely trip over legal but very sensitive covert CIA operations not related to Nicaragua." But the Agency lost all credibility after November 21, when Casey testified to Congress that he did not know who arranged the sale of two thousand TOW missiles to Iran. Revell knew from his terrorism work that the Agency had, in fact, been actively involved in that scheme. There was a concern, as Revell warned Webster, about whether CIA was giving Congress "right information." If it deliberately wasn't, it was obstructing justice. Casey was hospitalized for a brain tumor in early December, lapsed into semi consciousness, and died on May 9, 1987, before the Bureau could interrogate him. But by then, Iran-Contra revelations had made clear not only to the FBI but to the country at large just how thoroughly the former OSS swashbuckler had considered intelligence work to be above the law. At his funeral, with President Reagan and former President Nixon sitting in a front pew, a Roman Catholic bishop lamented that Casey's anti communism kept him from understanding "the ethical questions raised" by his church. The hammer came down hard on Casey's co-conspirators at CIA. After Justice Department investigators uncovered a memo describing diversion of Iranian arms-sales profits to the contras, North was fired, and Attorney General Meese turned the FBI loose. On Casey's advice, North had burned a diary detailing his contacts with CIA; North's secretary, Fawn Hall, had slipped past FBI agents with documents hidden in her undergarments, and shredded so many other memos that the machine jammed; but a team of six FBI agents wearing rubber gloves retrieved other material implicating CIA. A disk found in Hall's office computer held a presidential intelligence "finding" signed by Reagan, retroactively authorizing CIA participation in an earlier Israeli weapons transfer to Iran. Another North memo asked CIA to charge the Iranians an inflated price for a thousand TOW missiles, with the difference being diverted to the Contras.